The Emma 22 inch mirror cabinet embraces purity of design and masterful construction. The mirror cabinet in Dove Gray finish brings to life the collection's simple, clean lines. It is constructed of top quality and includes a wall cleat for easy hanging. The Emma mirror cabinet completes your bathroom decor with the Emma vanity. The Madison 28 in. X 6.3 in. x 32 in. Poplar framed mirror cabinet features a Light Espresso finish with strong decorative lines. Three glass shelves are included for easy storage. It matches the Madison vanities for a coordinated look and includes mounting hardware that makes levelling easy. Easily accessorize and adorn yourself with your favourite jewellery easily by keeping it neatly organized. This jewellery cabinet features a full-length mirror with plenty of hidden storage space behind it. Its chic styling fits well into a variety of existing decor palettes and the dark finish is timeless. Bottom castors allow for easy mobility. Emma 22 inch Mirror Cabinet in Dove Gray The Emma 22 inch mirror cabinet embraces purity of design and masterful construction. 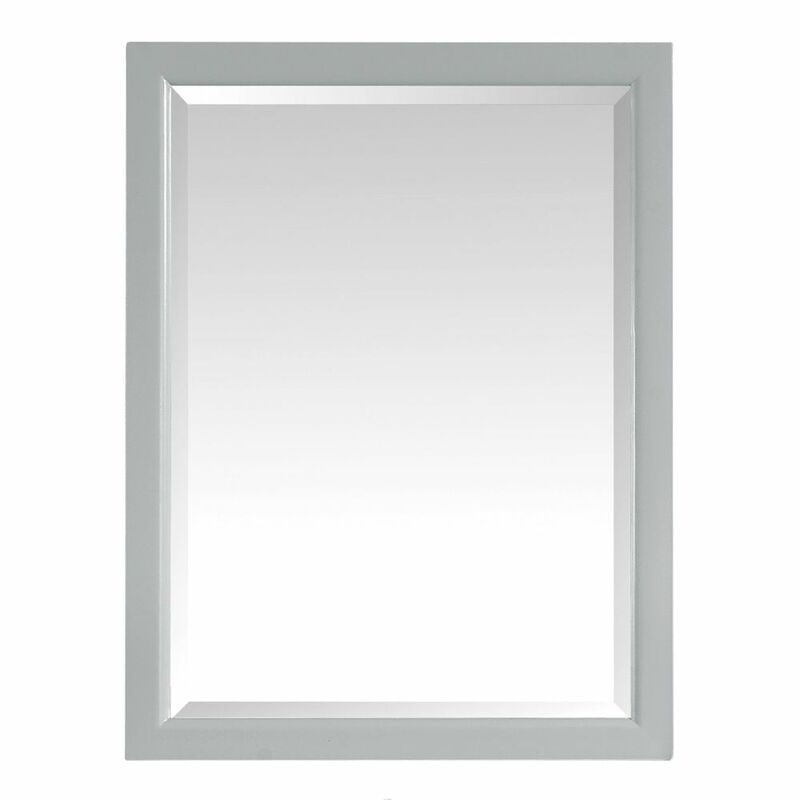 The mirror cabinet in Dove Gray finish brings to life the collection's simple, clean lines. It is constructed of top quality and includes a wall cleat for easy hanging. The Emma mirror cabinet completes your bathroom decor with the Emma vanity.